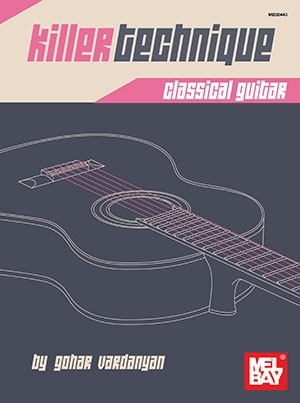 All the exercises in "Killer Technique: Classical Guitar" are either based on or inspired by challenging passages and patterns that appear in compositions. Technical elements and passages have been stripped down and transformed into exercises to help the reader concentrate on specific targets through repetition. The exercises cover various techniques, such as finger independence in both hands, different types of shifts, in-context slurs, in-context arpeggios, scales, tremolo and switches between different technical elements. The exercises are presented in standard notation and tablature. Explanations and instructions are also provided. By using standard notation, the exercises include detailed information regarding fingerings and strings. Tablature versions of the exercises are also included, however, the rhythm and finger information is written in standard notation.The exercises are divided into two main sections: right-hand and left-hand. Each section consists of different categories specific to that hand. The exercises are not written in any particular order within each category - by practicing these exercises, the reader will master difficult technical transitions when they are encountered in compositional contexts.